After Antonio Esquivel-Rios was convicted “on federal drug charges”, he appealed. U.S. v. Esquivel-Rios, 2013 WL 3958372 (U.S. Court of Appeals for the 10th Circuit 2013). The opinion does not say exactly what he was convicted of. case began when Kansas Trooper Andrew Dean . . . sat watching traffic along I–70. At some point, a minivan caught his eye. There was nothing special about the minivan except maybe the fact it bore a Colorado temporary 30–day registration tag. But even that didn't suggest anything amiss: the tag looked genuine enough, it was displayed in the right place, its expiration date hadn't yet passed. All the same, Dean decided to verify the tag with a law enforcement database. He called in the tag number to a dispatcher who soon replied `that's a negatory on record, not returning.’ Because of -- and only because of -- the dispatcher's `no return’ report, Dean turned on his lights and stopped the minivan. After a brief discussion, the trooper sought and received permission to conduct a search, one that eventually yielded a secret compartment containing over a pound of methamphetamine and Esquivel–Rios's trial and conviction on federal drug charges. [b]efore and after trial the defense argued that Trooper Dean's traffic stop violated the 4th Amendment and that all evidence found during the stop should be suppressed. But the district court disagreed. In its view, the trooper had reasonable suspicion to believe the minivan was displaying a forged tag. In Kansas, as elsewhere, vehicles must be registered with some lawful authority. When a law enforcement database yields no information about a registration tag, the court reasoned, that raises a non-trivial possibility the tag wasn't lawfully issued in the first place but falsified in some way. As Wikipedia explains, and as I have noted in prior posts, the 4th Amendment creates a right to be free from “unreasonable” searches and seizures. As Wikipedia also explains, a “seizure” of a person occurs when law enforcement interferes with the person’s freedom of movement by restraining them in some way. That does not mean the person has to be put in handcuffs or otherwise physically restrained. It is enough if an officer, via a show of his/her authority, makes it clear that the person has been “stopped” and cannot leave until the conditions of that “stop” have been resolved. As Wikipedia also notes, a “person subjected to a routine traffic stop . . . has been seized, but is not `arrested’ because traffic stops are a relatively brief encounter”. In other words, seizures of a person can vary in scope and duration. So when Dean “stopped” the minivan, he initiated a seizure of the minivan and of Esquivel-Rios. A 4th Amendment event -- a search or a seizure -- will be “unreasonable” if it does not comport with the requirements included in the Amendment and/or established by courts that have interpreted it. As Wikipedia notes, one of those requirements is that a full search or a seizure (arrest) under the 4th Amendment must be based on probable cause. A brief, non-custodial traffic stop must normally be supported by reasonable suspicion; the investigating officer must weigh the totality of the circumstances to determine whether sufficient objective facts exist to create reasonable suspicion that the driver is engaged in criminal activity. Basically, reasonable suspicion is a lower level of suspicion than probable cause (which was known as “probable suspicion” in English common law.) Reasonable suspicion is discussed in the court’s opinion, as I explain below. [t]he district court's reasoning was right as far as it went. This court and others have regularly upheld traffic stops based on information that the defendant's vehicle's registration failed to appear in a law enforcement database -- at least when the record suggested no reason to worry about the database's reliability. And this is a piece of evidence our cases haven't confronted before: evidence admitted by a district court suggesting that the database on which the officer relied to justify his stop might bear a real problem -- a problem that might mean a `no return’ doesn’t suggest criminal conduct but only some bureaucratic snafu. U.S. v. Esquivel-Rios, supra (emphasis in the original). [o]f course, nothing in life is perfect. Neither does anyone expect or even want some sort of maniacally perfect, all-knowing, all-seeing HAL 9000 computer in the government's hands -- a situation that would itself no doubt raise 4th Amendment questions. Instead, the law expects and takes account of human (and computational) frailties, requiring less, far less, than perfect certainty of a traffic violation before an officer may initiate a brief investigatory stop. The Supreme Court tells us that only `reasonable suspicion’ is needed for a traffic stop to comply with the 4th Amendment's guarantee against unreasonable seizures. standard requires the officer to possess a “particularized and objective” basis for thinking unlawful activity is afoot. U.S. v. Cortez, 449 U.S. 411 (1981). But it requires “considerably less” than a preponderance of the evidence and “obviously less” than that required for probable cause to effect an arrest. U.S. v.Sokolow, 490 U.S. 1 (1989). . . . To satisfy the reasonable suspicion standard, an officer need not `rule out the possibility of innocent conduct,’ or even have evidence suggesting `a fair probability’ of criminal activity. Poolaw v. Marcantel, 565 F.3d 721 (U.S. Court of Appeals for the 10th Circuit 2009). . . .
database's reliability might diminish if officers also possess other facts independently suggestive of unlawful activity. Given all this, it is pretty plain that no one—and no computer—has to be perfect, or even close to perfect, to provide or help provide legally sufficient grounds for a traffic stop. relied only on the database report to support his stop: he had no other quantum of evidence that might mitigate shortcomings of the database. We know the database undoubtedly qualifies as `objective’ evidence in the sense that it is independent from the trooper's beliefs or biases. . . . But it is a much harder question whether the computer's `no return’ report, taken in light of the dispatcher's comment, qualifies as `particularized’ evidence that supplied Dean some “specific[ ]” reason to think that the minivan might be engaged in criminal activity. See U.S. v. Cortez, supra. add to the confusion, we can't even be sure what it means that Colorado temporary tags usually don't return. The dispatcher's use of the term `usually’ (rather than `always’) suggests some Colorado temporary tags do `return’ with registration information. But to say a problem usually occurs suggests it occurs more often than not. . . . So it seems Colorado temporary tags don't return over half the time. But still we don't know how much more than half the time the problem occurs. And we don't know why it occurs. Though threadbare, the record seems to suggest `no returns’ occur as a result of at least two very different causes -- unlawful conduct by the driver (forgeries and the like) and some sort of bureaucratic bumbling (whether failure to enter into the database in a timely fashion or something else altogether). Yet, how often `no returns’ occur and how often they are attributable to wrongful conduct as opposed to bureaucratic mischief can make all the difference. [i]magine that 200 of every 1000 Colorado temporary tags (20% of the total) are forged, and for this reason do not `return’ when the database is queried. Imagine too that 301 legitimate tags similarly fail to return for innocuous reasons. That means 501 or just more than 50% of temporary tags will not return, and it means there's about a 40% chance a non-returning tag is a forgery. That chance is very likely chance enough to satisfy the reasonable suspicion standard. [s]uppose only 5 of every 1000 temporary tags in Colorado (0.5%) are forged and 496 don't return for innocuous reasons. Once again, just over half the tags will not return, but less than 1% of tags that fail to return in this scenario are illegitimate (5 out of 501). And the suggestion of wrongdoing diminishes even further as the number of innocuous no returns increases. So if legitimate Colorado temporary tags are almost never placed in the database and if forged temporary tags account for an even smaller percentage of the population of temporary tags -- both plausible possibilities --getting a `no return’ result may tell a reasonable officer next to nothing: virtually every query would yield the same `no return’ message whether the tag is legitimate or not. that's the real shortcoming we see in the district court's disposition in this case. In its order rejecting Mr. Esquivel–Rios's motion to suppress, the district court treated this case as just another one where the database wasn't challenged. It recounted the dispatcher's comment that Colorado temporary tags `usually don't return’ in the background section of its order but made no mention of the fact, let alone considered its significance, in the section devoted to legal analysis. Neither did the district court mention the dispatcher's comment in the legal analysis section of its order rejecting Mr. Esquivel–Rios's motion for a new trial, though that motion extensively attacked the database's reliability. Simply put, the district court failed to engage with evidence seeming to call the database into question. 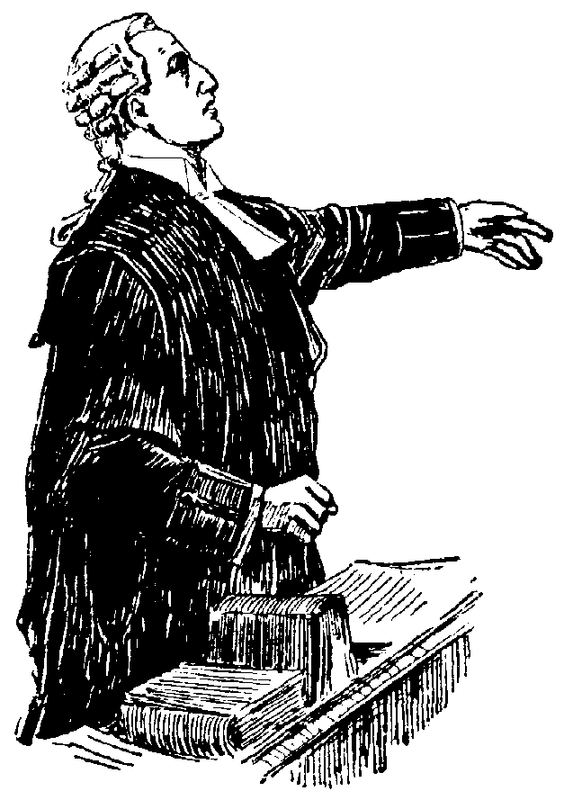 our responsibility is to ensure an important and novel legal question bound to affect many cases and parties -- the interaction between the reasonable suspicion standard and the use of law enforcement databases that are both imperfect and now so prevalent -- gets the full vetting it deserves so this court ultimately might be in a position to offer a judgment with the degree of confidence the question merits. So Esquivel-Rios gets another chance at his motion to suppress. U.S. v. Esquivel-Rios, supra. Not the first court case I've read about from Kansas involving questionable action on a temporary tag. The one that sticks out in my mind involved two ATF agents who noticed a vehicle without a license plate, and decided to follow it. They called a state trooper, who was a plainclothesman. When the SUV with the dealer tag stopped at a convenience store, two men with guns approached, and demanded they get back in the car, without identifying themselves as officers of the law. The car took off, and several shots were fired at the vehicle, killing the driver and wounding two others. Nevertheless, a small amount of drugs were found, and suit under section 1983 against the ATF agents and the officer was dismissed. Temporary tags in Kansas are just asking for trouble.